Ole Henriksen is a very famous facialist from Los Angeles that was one of the first to have a very famous skincare line out. His line is known for having products that work extremely well on the skin. The first product I ever used from his line, the Eye Peel, was so good that I told all my friends about it, did a review on it and got a lot of people hooked on it too. I think you will love this line as much as I do. Especially the Truth Serum, which is phenomenal. Ole Henriksen had his own trouble with cystic acne, so he wanted to make sure that his skincare line had products that were a joy to use and did not strip the skin of their own natural oils. 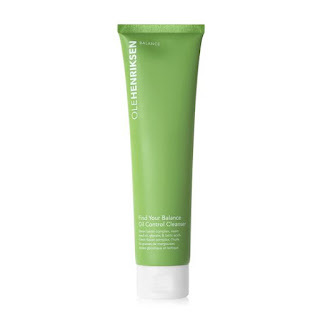 This cleanser features OLEHENRIKSEN’s Green Fusion Complex™, a proprietary blend of potent active botanicals, such as green tea, eucalyptus, algae (kelp) and Irish moss extracts and neem seed oil with natural antiseptic properties to help absorb excess oil and refine the pores. It is noncomedogenic. Find Your Balance deeply cleanses, reduces oil and purifies pores. The cleanser's deep cleansing action helps unclog and purify pores without stripping skin, while the invigoration eucalyptus-peppermint scent awakens the senses. Powerful glycolic acid and lactic acid helps to loosen and lift dead skin cells that cause pore-clogging build-up. Instantly, the complexion is refreshes and balanced with a healthy looking Ole Glow™! To use: Wet face with warm water. Apply cleanser into wet palms and create a lather. Gently massage in an upward, circular motion. Rinse with lukewarm water. 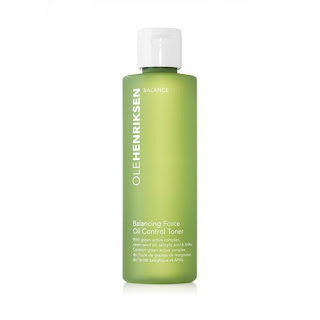 Follow with OLEHENRIKSEN Balancing Force™ Oil Control Toner and Counter Balance™ Oil Control Hydrator. For external use only. Use as directed. I was pleasantly surprised at how much I liked this cleanser. I have normal to dry skin in the winter but it becomes more combination in the spring and summer. This cleanser is for oily to combination skins, so I felt it was perfect for me to use at this time of the year. I have been having more oil on my face lately. This cleanser is very refreshing and smells amazing, like peppermint. I would avoid eye contact with this. It really does cleanse the face but does not strip it of the natural moisture barrier. During his struggle with cystic acne, Ole tried many astrigent toners that left his skin feeling stripped. So he was challenged to create his own version that delivered powerful results, but with a more comfortable, balanced feel. He ended up developing the Balancing Force™Oil Control Toner. 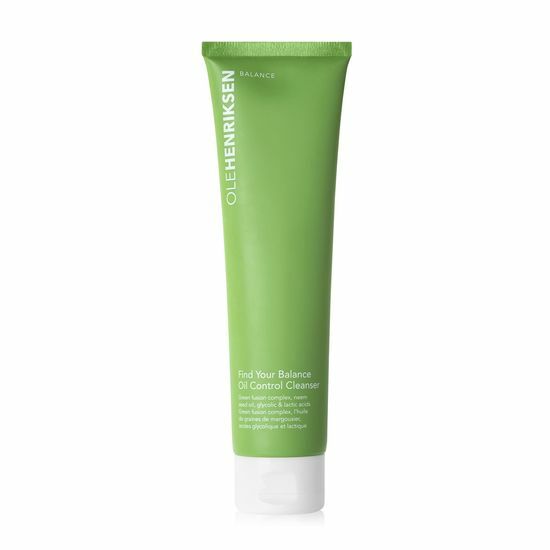 This toner features OLEHENRIKSEN's Green Fusion Complex, a proprietary blend of potent active botanicals, green tea, eucalyptus, algae (kelp), and Irish Moss extracts, with natural antiseptic properties that help absorb excess oil and refine pores. This toner controls oil, minimizes the appearance of pors and freshens skin. This concentrated facial astrigent effectively removes excess oil and refines pores, without stripping skin. It also contains a powerful blend of BHA and AHAs (alpha hydroxy acids): salicylic, glycolic and lactic acids and neem seed oil, its gentle clarifying action helps unclog, purify and minimize the appearance of pores. This refreshing toner features an energizing eucalyptus-peppermint scent. Instantly, the complexion is fresh and invigorated with a matte, healthy-looking Ole Glow™! It is also noncomedogenic. To use: After using OLEHENRIKSEN Find Your Balance™ Oil Control Cleanser, pour Balancing Force Oil Control Toner onto a cotton pad. Swipe over clean, dry face, in a circular motion. 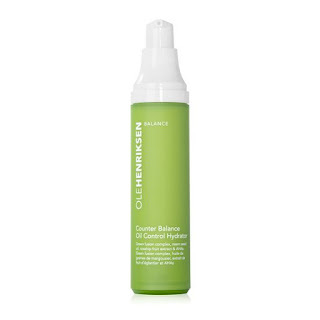 Follow with Counter Balance™ Oil Control Hydrator. For external use only. Use as directed. Do not get into eyes. This toner is so nice. Use after cleansing. It really makes your face feel clean, soft and oil free. The AHAs and BHA really help to get rid of any extraneous dead skin that is left from cleansing. If you want skin that will be fairly free of acne this summer, try this routine. That is if your skin has very little acne to begin with. Pores will be minimized and unclogged. Oil will be removed and it helps to control oil too. This toner is just amazing. Ole was inspired to create skincare for oily skin after his own problems with acneic and oily skin. He dedicated his life to cosmetic chemistry. He created this mattifying hydrator to address the common fear that moisturizing already oily skin may cause additional breakouts. It does not. This hydrator features the OLEHENRIKSEN’s Green Fusion Complex™, a proprietary blend of potent active botanicals, green tea, eucalyptus, algae (kelp) and Irish moss extracts, with natural antiseptic properties to help absorb excess oil and refine pores. Counter Balance Oil Control Hydrator is noncomedogenic. It hydrates, controls oil, mattifies and reduces the appearance of pores. Finally, oily skin meets its matte. Developed as the product Ole Henriksen wishes he had during his own struggle with oily skin, this lightweight mattifying hydrator gives oily and combination skin types the essential moisture they crave. Oily skin needs hydration too, to look its healthy best. Combined with neem seed oil and powerful alpha hydroxy acids (AHAs), it helps keep pores clear and skin matte all day long while maintaining optimal hydration and a healthy balance. This groundbreaking formula also significantly improves the wear of foundation for up to 8 hours, making makeup meltdown a thing of the past. The complexion is soft, smooth and refreshed with a healthy-looking, matte Ole Glow™! To use: Apply evenly to face and neck AM and PM. Gently massage in an upward, circular motion. Your skin is now perfectly prepped for a full day of makeup wear. Pair with OLEHENRIKSEN Find Your Balance™ Oil Control Cleanser and Balancing Force™ Oil Control Toner. For external use only. Use as directed. This is a wonderful hydrator for oily and combination skin. My only concern is that it does not have an SPF in it, and if you are going to wear it during the day you will need to make sure your foundation has at least a SPF30 or you wear a light SPF30 over Counter Balance to make sure you do not accelerate photoaging. Even those with oily skin age at the same rate. Especially when using these AHAs, which can cause irritation in the sun, sun sensitivity and increased photoaging. Otherwise I love how well this works under foundation. It makes a great matte foundation preparation. It sinks right into the skin, leaving skin feeling soft and hydrated yet not overly oily or anything remotely greasy. Ole Henriksen is available online at www.olehenriksen.com, www.sephora.com and SEPHORA stores. Like Ole Henriksen on Facebook: https://www.facebook.com/olehenriksen/; Follow Ole Henriksen on Twitter:@OleHenriksen; Follow Ole Henriksen on Pinterest: https://www.pinterest.com/olehenriksen/; Follow Ole Henriksen on Instagram: https://www.instagram.com/ole_henriksen/ and Subscribe to Ole Henriksen on YouTube: https://www.youtube.com/channel/UCekD0vi0biqmC2HegotdN1g?sub_confirmation=1.